Pennsylvania is located in the Mid-Atlantic region of the United States. It is surrounded by six states, including New Jersey, New York, Ohio, Maryland, West Virginia, and Delaware. Over 12 million people reside in Pennsylvania. People are drawn to the state’s beautiful scenery, rich American history, and chocolate. From small towns to large cities, the state has much to offer. Visit Pennsylvania. Furthermore, the state is boasting with employment opportunities in areas, such as finance, technology, healthcare, and education. It is easy to see why many people would want to make the move to Pennsylvania, with some many great amenities at their fingertips. When moving to or from any state, however, there are many things to take into consideration. You must figure out how you will be getting all your belongings to your new home. This includes your car. Auto transport services provide a fast, easy, and affordable way to get your car to its destination. This reduces your moving-day stress. Shipping your car with an auto transport company, such as National Dispatch, is as easy as 1, 2, 3. Use our online quote calculator to get an estimate of what auto transport services will cost you. It is free, instant, and no personal information is required. When you are ready to schedule a time and date, call us at 800-321-2051. With door-to-door auto shipping, the driver will come directly to your home to pick up the car. Prior to his arrival, you will need to prepare the car for auto transport. When the driver gets to your home, an inspection will be conducted on the current condition of the vehicle. The car will be delivered to your home. After the car is unloaded from the transport carrier, another inspection will be completed. This is to check for any signs of damages. Once you have completed the inspection, you will be left with the keys to your car. Now, you can explore the sites of your new home. From college students to business professionals to families, Pennsylvania is the perfect place to call home. It is filled with top universities and offers many affordable places to settle down. Even if just making a short visit, this is adequate time to fall in love with the state. Below, you will find some of the top cities in Pennsylvania that people are visiting and moving to. Philadelphia is Pennsylvania’s largest city. 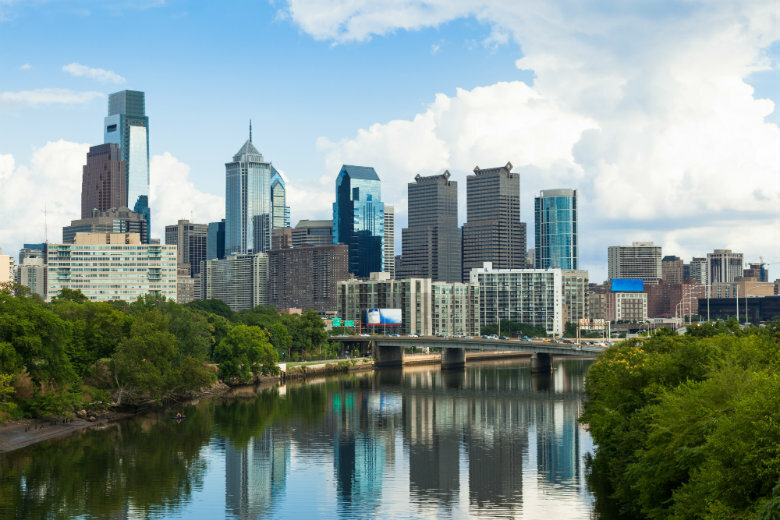 You might be curious to know how Philadelphia compares to many of its neighboring cities, such as Boston and New York City. For one, Philadelphia’s cost of living is less expensive in comparison to its neighbors. This allows you to get a more affordable home, while still enjoying the perks of a larger city. Philadelphia is also home to one of the largest city-owned parks in the country, Fairmount Park. Therefore, moving to the city does not mean that you have to give up outdoor recreational activities. Philadelphia International Airport is located in the city, which makes travel across the country easy. The airport, along with other companies, such as Highmark, provides jobs for thousands of people. Pittsburgh, the second largest city in Pennsylvania, is home to many neighborhoods. Each neighborhood caters to people of different income levels and interests. If you are a student planning on attending the University of Pittsburgh, you may be interested in living in Squirrel Hill or another similar neighborhood. However, for those commuting to work on a daily basis, you may want to live in another part of the city, where traffic will not present a problem. 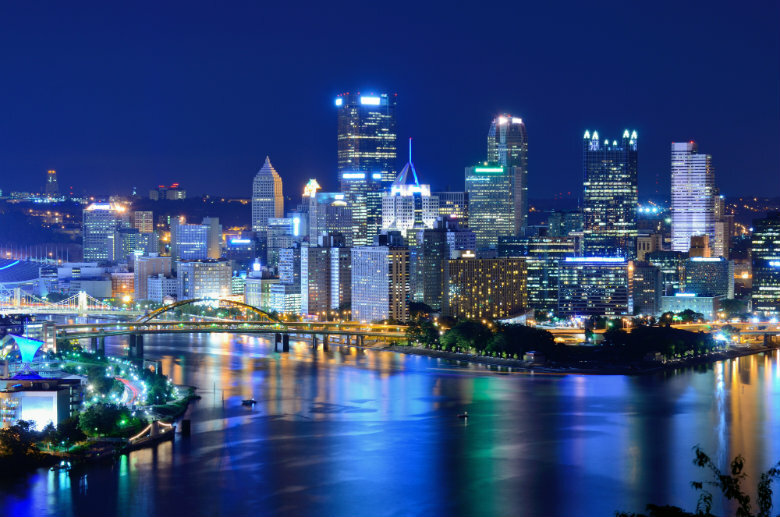 Pittsburgh has something for everyone, from those interested in sports, art, history, and more. Watch the Pittsburgh Pirates play at PNC Park, or visit Bicycle Heaven, the world’s largest bicycle museum and shop. Harrisburg is Pennsylvania’s capital city. If you love the outdoors, you will love this city. You can bike, walk, or run on the trails of Riverfront Park while taking in the sights of the Susquehanna River. This park is also the location of many events and festivals. Just east of Harrisburg, you will find Hershey, Pennsylvania. It will only take you about half an hour to get there. Hershey Park is the perfect place for adventure seekers and chocolate lovers. If you have family in neighboring cities, it will only take you a few hours to get to New York City, Baltimore, or Washington, D.C.
Lancaster has been ranked in the Top 100 cities for ‘Best Places to Live’ and ‘Best Places to Retire’. It offers a mix of both an urban and rural feel. This is because it is home to many farmlands, but it is also a short distance from many of the other larger cities in the state. It is the location of many large companies, such as the Kellogg’s Plant. Mars Chocolate North America is also located a short distance away. The city offers many more sights, landmarks, museums, and more that you will want to be sure to check out. Back in the day, Scranton was known for producing iron and steel. Today, it is the sixth largest city in Pennsylvania. To its residents and visitors, it offers a more small-town feel. Its low cost of living and affordable housing options make it a great place to raise a family. Throughout the year, Scranton hosts many festivals and events. In the summer, there is the Scranton Jazz Festival and La Festa Italiana. Some must-sees include Steamtown Natural Historic Site, Electric City Trolley Station And Museum, and Montage Mountain. Are you in need of auto transport services to or from Pennsylvania? Request a free, instant car shipping quote using our online quote calculator. No personal information is needed to get a quote. Only four simple fields. You can also call us at 800-321-2051. Need a mover? Contact EverSafe Moving.